Take off on your own to discover what makes Costa Rica one of the world's premier ecotourism destinations. This Costa Rica ecotour offers the flexibility to choose between a budget or upscale hotel alternative, following a fixed route so you can tailor your Costa Rica adventure to your preference. You'll visit one of the Western Hemisphere's most active volcanoes, hike in the treetops, encounter exotic wildlife and relax on Costa Rica's famous white-sand beaches. What more could you ask of a trip to paradise? After arriving at the San José International Airport, a Southern Explorations guide will meet you outside the Customs area of the terminal and transfer you to your hotel for the night. 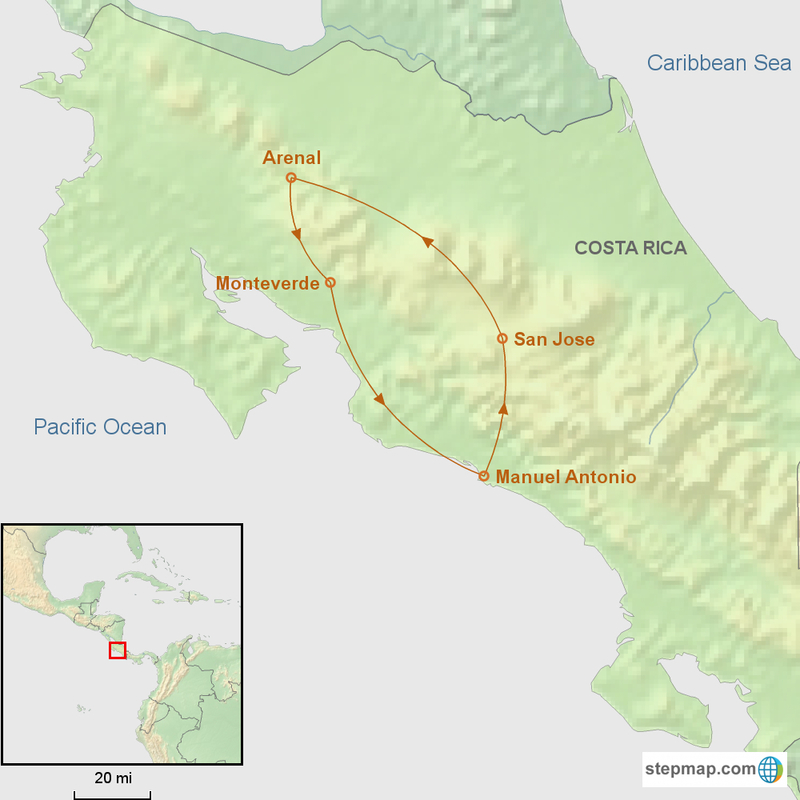 After breakfast and check-out, it's a four-hour drive to the Manuel Antonio National Park area. On the way, you may visit the Carara National Park, an ideal spot to observe where tropical forests and dry forests meet. Surrounded by agricultural land, this reserve is teeming with crocodiles, monkeys, sloths and scarlet macaws. Balance of the day at leisure in Manuel Antonio. Overnight at a hotel near the park. (B) NOTE: Manuel Antonio National Park open every day Dec 1 – June 30 and closed on Monday July 1 – 30. This trip is only offered by Private Departure. Please contact us for more information.